Our company representative will receive you on your arrival at the international airport. Since, most international flights into Delhi land between late evening/midnight and early morning, the touring activities are scheduled only from the following day. Delhi : Indias capital & a major gateway to the country, contemporary Delhi is a bustling metropolis which successfully combines in its fold the ancient & the modern. Its strategic location was one of the prime reasons why successive dynasties chose it as their seat of power. New Delhi also reflects the legacy the British left behind . 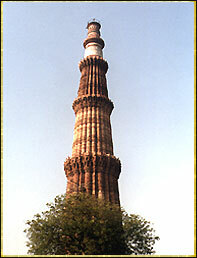 The division between New & Old Delhi is the distinction between the capitals of the British & the Moghuls respectively. So, wherever the visitor goes, he will invariably confront the citys past. After a leisurely breakfast embark on a sightseeing tour of New Delhi where ornate buildings recall the days when India was the Jewel in the crown of the British empire. Visit the 11th century Qutab Minar Tower, the India Gate and the grand government buildings, the President's House and Parliament House all dating back to the time of British Raj. The imperial city of New Delhi generates a mesmerizing charm reflecting well-composed and spacious streets under the shade of imposing government buildings. After breakfast, leave for Jaipur - The Pink City : Jaipur needed a fresh coat of paint to welcome its distinguished guest the Prince of Wales in 1905-6. The contractor inability to supply any other color in the required quantity compelled the choice of pink shade for its walls. A contractors compulsion famed Jaipur to Pinkcity. Since then the PINK color is associated with hospitality in Rajput culture. Arrive Jaipur and check-in at your prebooked hotel. Rest of the day at leisure. After breakfast, excursion to Amber Fort. Elephant ride from the foothills of the Aravallis to the fort entrance. 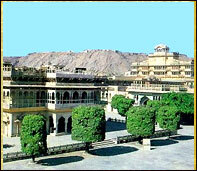 Amber Fort : At a distance of 11 kms from Jaipur, Amber was the ancient capital of Jaipur state. Construction of the fort began in 1592 by Raja Man Singh, the Rajput commander of Akbar's army and is a superb example of Rajput architecture. Afternoon, city tour of Jaipur. Visit the City Palace which has museum having an extensive collection of art, carpets, enamel ware and weapons; Jantar Mantar - the observatoyr built my Maharaja Jai Singh in 1728 and the fa�ade of Hawa Mahal. After Breakfast drive for Bharatpur for a tour of the world famous bird sanctuary- Bharatpur Bird Sanctuary. 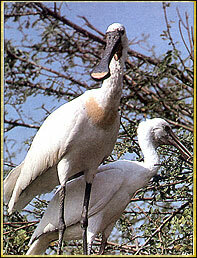 Keoladeo National Park previously known as Bharatpur Bird Sanctuary and lies 174 km from Delhi and only 50 km from Agra. If Taj Mahal is "rhapsody in marble" then definitely Keoladeo is a "ballad of birds". Keoladeo National Park provides shelter to over 300 avian species, particularly during winter when the resident numbers multiply as a result of migrants. Afternoon visit the Keoladeo bird Sanctuary. After breakfast, leave for Agra. Enroute visit the abandoned Mughal city of Fatehpur Sikri : built by Emperor Akbar in 1569, was the old capital of the Moghuls, which was abandoned after 15 years due to scarcity of water. See the graceful buildings including the Jama Masjid, Tomb of Salim Chisti, Panch Mahal & other Palaces which are still preserved in its original glory. Continue drive to Agra. Arrive Agra in the evening and checkin at hotel. Visit to the Taj Mahal. Taj Mahal: Little needs to be said about this architectural wonder which is always the soul raison-de-etre for every tourist's visit to Agra. 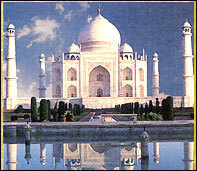 Built by Shah Jahan, the Taj is a white marble memorial to his beautiful wife Mumtaz Mahal. This monument took 22 years to be completed and was designed, and planned by Persian architect Ustad Isa. Apart from its stunning design balance and perfect symmetry, the Taj is also noted particularly for its elegant domes, intricately carved screens and some of the best inlay work ever seen. After breakfast, city tour of Agra. Visit Red fort, which was built by Emperor Akbar in 1565, and additions were made up until the time of his grandson, Shah Jahan. It contains the hall of public and private audiences amongst many other beautiful structues; Itmad-ud-daulah, which was contructed by Nur Jahan between 1622 and 1628 and is very similar to the tomb she constructed for her husband, Jehangir, near Lahore in Pakistan; the highlight of the day - Afternoon, leave for Delhi enroute visit Sikandra - Mughal Emperor Akbar's Mausoleum. Later drive to Delhi airport to connect your flight to onward destination. OPTIONALLY, spend a night in Delhi and fly the next day. On time transfer to international airport to board flight back home or onward destination. Site Developed & Promoted by Goblend.